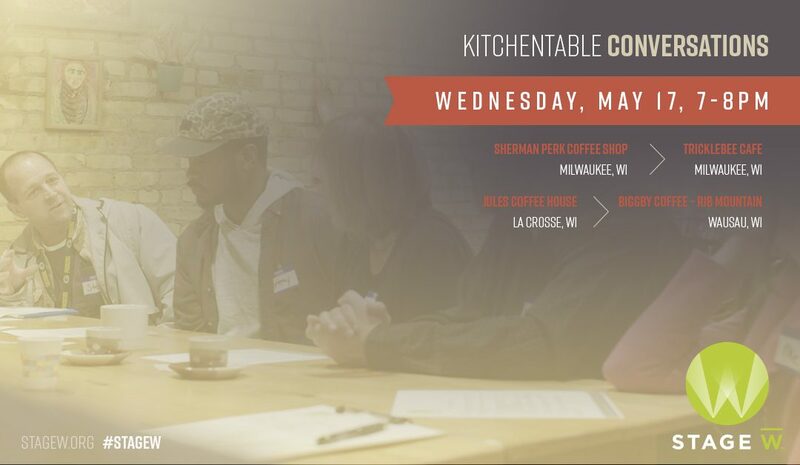 KitchenTable Conversations is a place where people living very different lives gather around “our kitchen table” to discuss the issues dividing Wisconsin. Every month we propose controversial topics to get the conversation started but then the discussion goes where it wants to. Everyone leaves with something to think about. Many decide to take what they’ve learned and work together to find workable solutions. Either way, it’s a conversation you’ll never forget. The issues dividing Wisconsin are much easier to understand when you see them through the eyes of the people living them. So consider inviting someone you have absolutely nothing in common with to attend with you — a person who doesn’t look like you, act like you, or think like you…or at least you don’t think they do. Since November, KitchenTable Conversations has grown from eight brave people tired of living in a divided Wisconsin. Now, hundreds have attended and thousands have viewed online. It takes guts, determination and a willingness to consider the perspectives of people who don’t see the world the way you do. This month we are joined by Wausau. The people who attend KitchenTable Conversations have figured out that it’s possible to disagree on important issues and still find constructive ways to move the conversation forward to find real solutions. Everyone is invited to join StageW in broadcasting KitchenTable Conversations using Facebook Live. You’ll help build the audience that is uniting Wisconsin by sharing the broadcast with your friends and with StageW, too. It’s easy — see how at the Facebook Help Center.